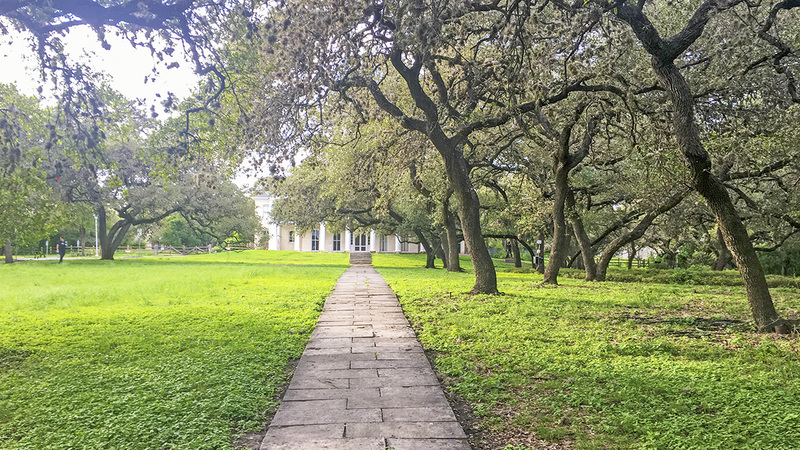 Located northwest of downtown, this approximately twenty-acre city park was originally the property of local attorney and philanthropist Gilbert Denman, Jr. 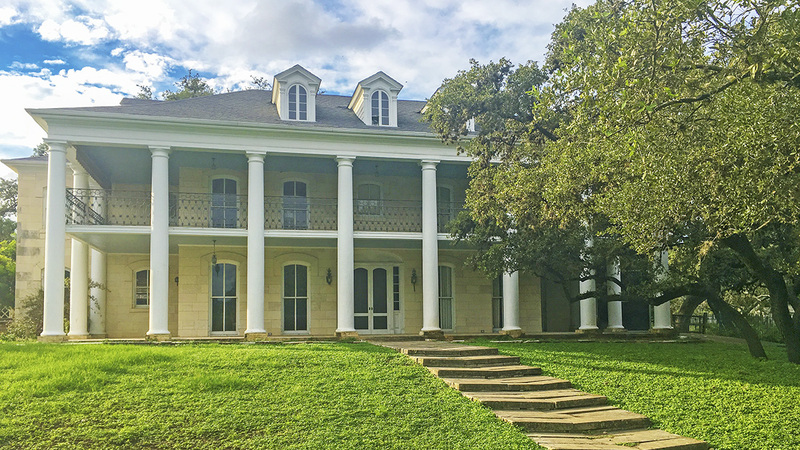 The City of San Antonio purchased 12.5 acres from Denman’s estate in 2007, which was combined with 7.7 acres that had been purchased by the University of the Incarnate Word. 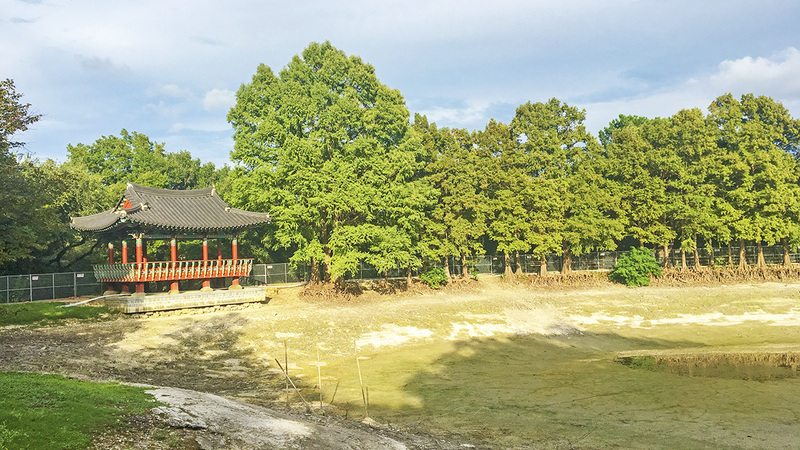 The combined acreage opened as a park in 2010 under a joint-use agreement with the university, which maintains the property. The L-shaped parcel is bounded by Mockingbird Lane on the southeast, Pleasure Hill Drive on the southwest, Tupelo Lane on the northeast, and privately owned lots on the northwest. 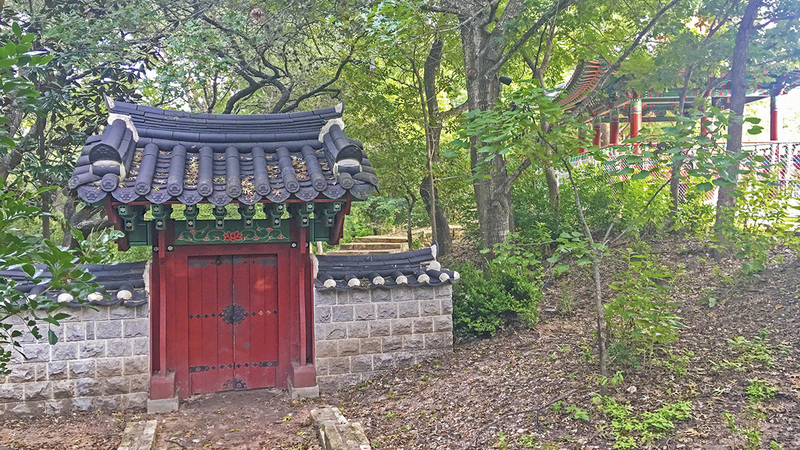 Near the center of the park is Denman’s original two-story mansion, along with a neighboring building that functions as a retreat and conference center (both buildings are owned by the university). 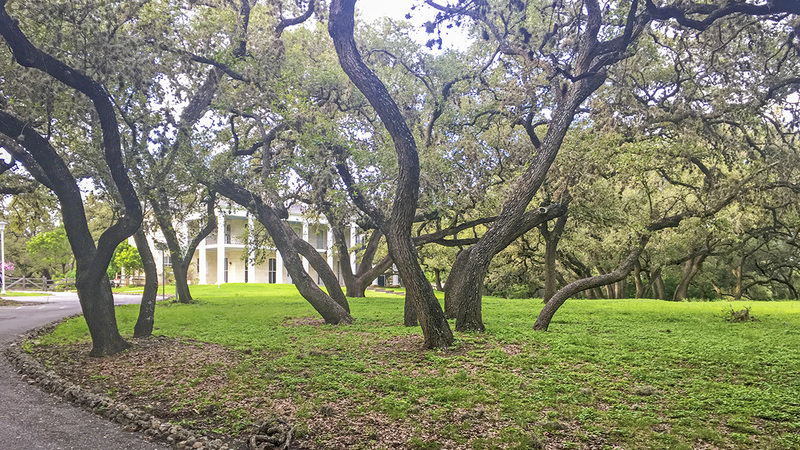 In the eastern portion of the park is a man-made pond encircled by cypress trees and live oaks. 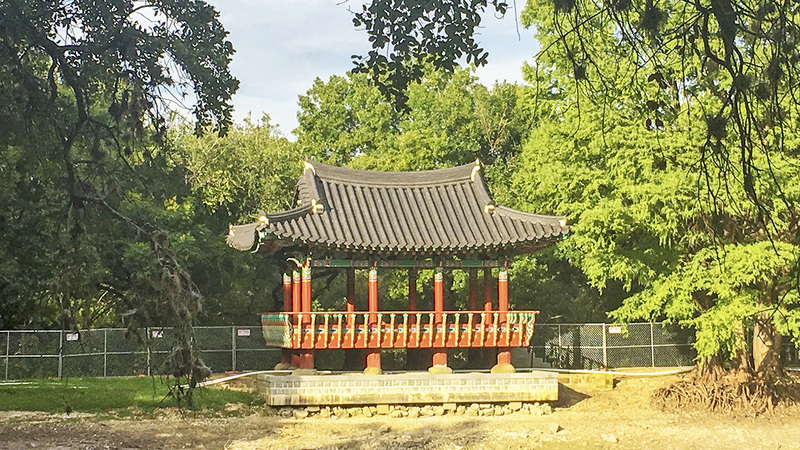 Sited on the edge of the pond is the Pavilion of Gwang-Ju, a vibrantly colored, traditionally designed Korean pagoda—a gift from the Korean city of Gwang-Ju to San Antonio, its sister city, in 2010. 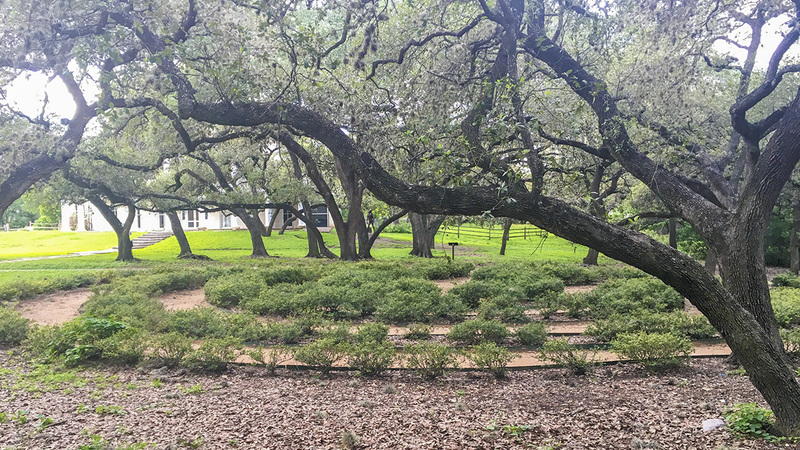 The park’s grass-covered grounds are planted with live oaks, which also shade a half-mile-long walking trail that meanders throughout the park and encircles the pond, occasionally bordered by crepe myrtle and perennials. 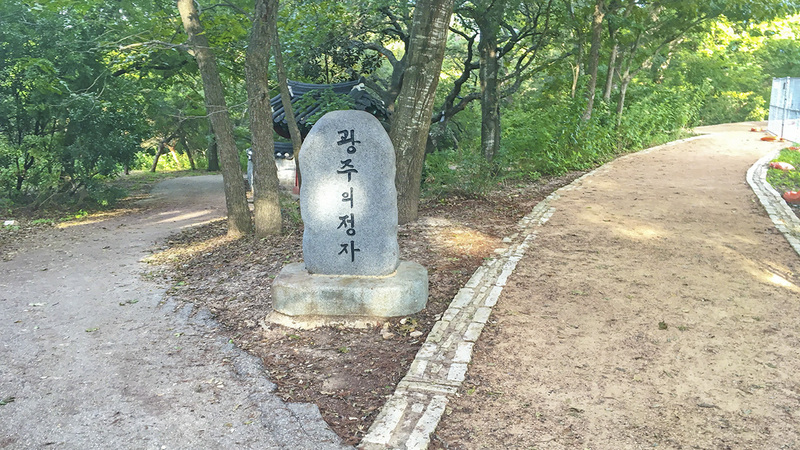 The Moon Labyrinth, a spiraling pathway outlined by a low hedge, is “an ancient prayer tool” meant to inspire meditation, while a large, open field on the southern portion of the park is used for passive activities such as dog-walking, picnics, and informal outdoor games.